For one thing, they read. And quite a lot, as the Visual Capitalist reports. 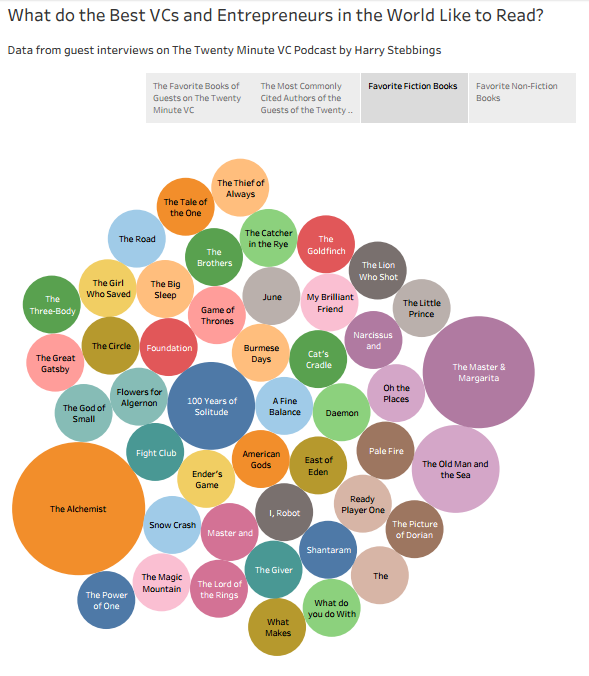 This is based on recent analysis by blogger Joe Hovde of the popular 20 Minute VC podcast, which features interviews with leading venture capitalists (VCs), which cover which authors they favour the most. By a large margin, the most cited book was Ben Horowitz’s The Hard Thing About Hard Things. Horowitz runs Silicon Valley venture capitalist group Andreesen Horowitz, and has famously backed the likes of Airbnb, Twitter and Facebook. As a former entrepreneur, he recounts the trials, tribulations and lessons learned from building a start-up during the "dotcom bust". Third in line is The Lean Start-Up. Here, Eric Ries develops a management methodology for start-ups based on the Japanese concept of "lean manufacturing", applying its principles of waste-reduction to modern web-based businesses. The list also features business evergreens such as Dale Carnegie’s How to Win Friends and Influence People and Good to Great by Jim Collins, alongside more theoretical works such as Nassim Taleb’s Antifragile and Fooled by Randomness, which focus on making the most of chance. The Master and Margarita, Mikhail Bulgakov's satirical novel about a visit by the devil to Stalinist Russia, comes second. Close behind are Gabriel García Márquez’s 100 Years of Solitude and Ernest Hemingway’s The Old Man and the Sea.